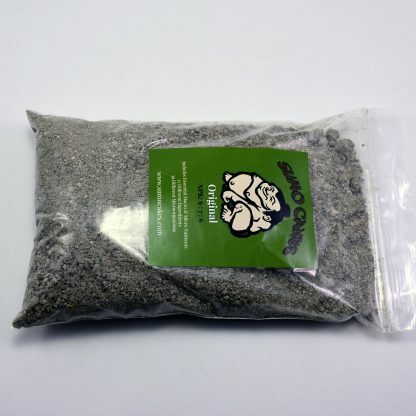 For use with Bonsai, Flowers, Vegetables, Trees, Shrubs, and Houseplants. 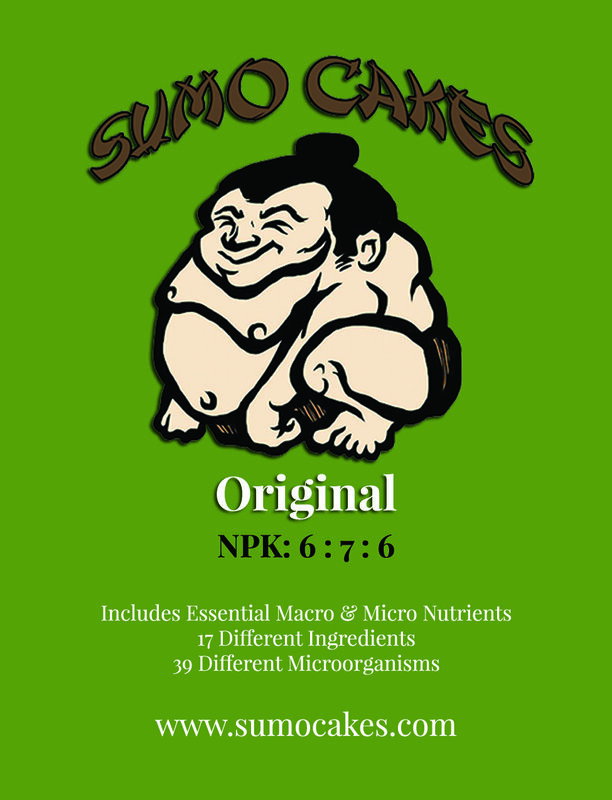 Sumo Cakes: Original is uniquely formulated as a general all-purpose fertilizer, but more specifically for our deciduous trees. 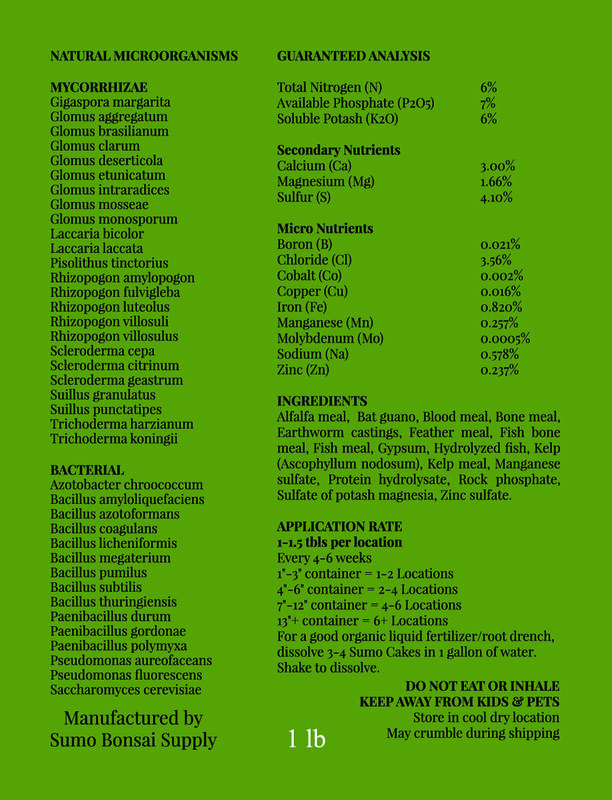 The ingredients are in a ratio that benefits plants and bonsai that prefer a more neutral pH level. Each Sumo Cakes blend contains Humic Acid, 9 Micronutrients, and is loaded with Vitamins & Minerals. 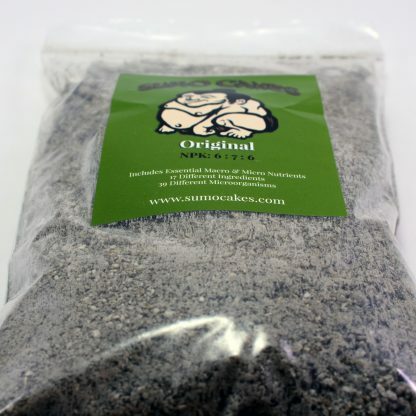 The Original blend consists of 17 ingredients and 39 different mycorrhizae species. 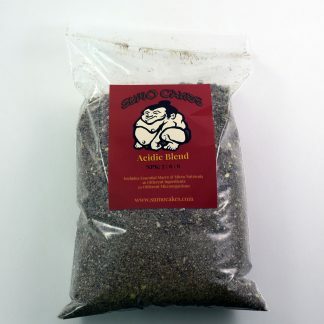 Some notable ingredients include Earthworm Castings, Fish Emulsion, and Kelp. 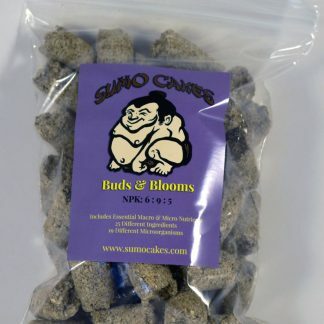 By using this bonsai fertilizer, you will notice healthier color to the leaves and needles along with healthier buds followed by more back budding. You will also notice brighter flowers and best of all, a healthier root zone. 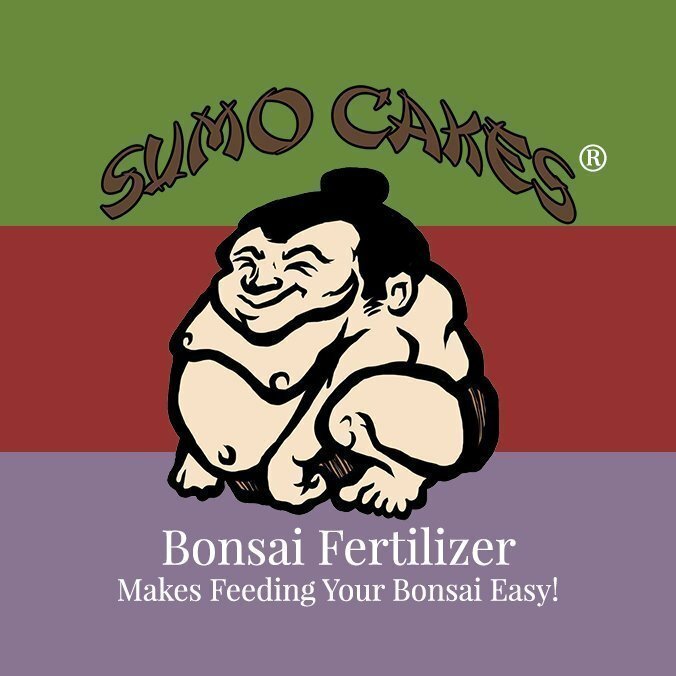 Sumo Cakes bonsai fertilizers are designed to break down during watering and to not clog the soil. 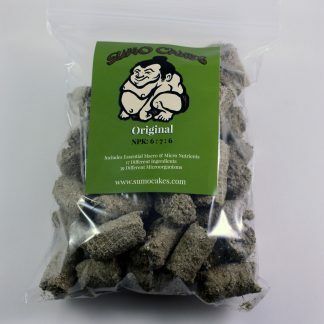 Apply Granular Sumo Cakes at the rate of 1tbsp TO 1.5tbsp per location. 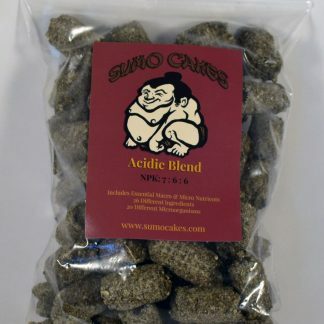 For a good organic liquid fertilizer/root drench, mix 3-4 tbsp of Sumo Cakes Granular in 1 gallon of water. Shake to mix. 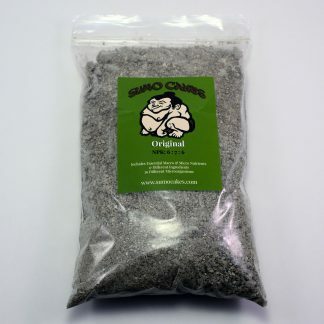 It is recommended to store this in a cool, dry location. 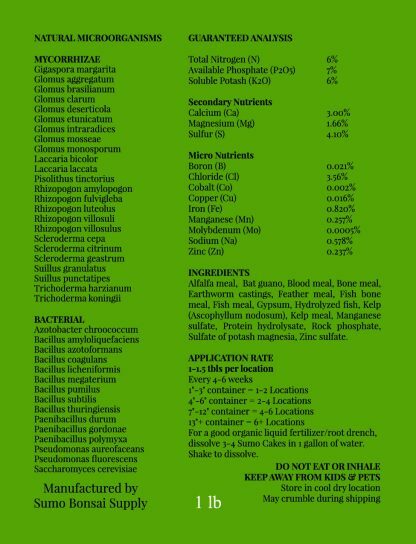 Alfalfa meal, Bat guano, Blood meal, Bone meal, Earthworm castings, Feather meal, Fish bone meal, Fish meal, Gypsum, Hydrolyzed fish, Kelp (Ascophyllum nodosum), Kelp meal, Manganese sulfate, Protein hydrolysate, Rock phosphate, Sulfate of potash magnesia, Zinc sulfate.